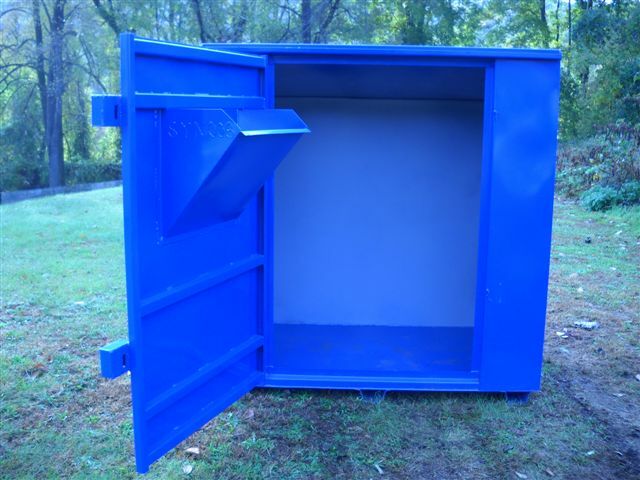 Paulsonbilt's standard 70" wide clothing and shoe donation box. We are capable of changing to any size you desire. Photo shows box with door closed and locked under 2 high strength lock boxes. 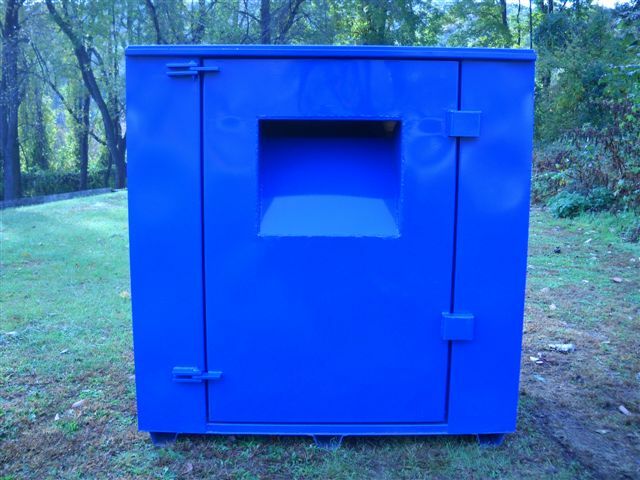 Paulsonbilt's standard 70" wide clothing and shoe donation box with door open. Standard chute design shown. Heavy duty reinforced door.